Black Friday Laptops and netbooks are often a great deal, but sometimes a bad buy sneaks in, and if you aren’t careful could cost you dearly. The $89 Kmart 7″ netbook looks like it will be one of those bad buys, especially when can get soo much more for an additional $100. 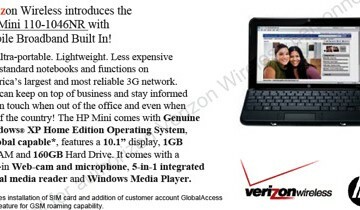 The Black Friday netbook from Kmart appears on the front page of the leaked Kmart Black Friday 2010 ad, boasting WiFi, web browsing and email. There’s a small note that the style may vary by location, but we looked on Kmart.com and found the Augen 7″ Netbook PC Powered by Android (model NBA7400A), which fits the original price and looks just like the netbook pictured as a Black Friday doorbuster. 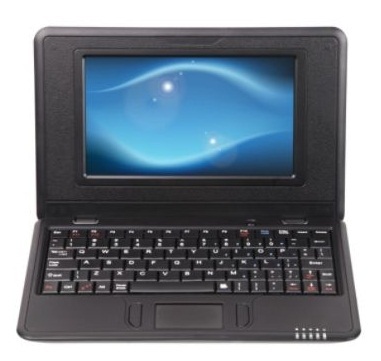 This netbook made rounds this summer as the Augen GenBook 74, which sold for $99. 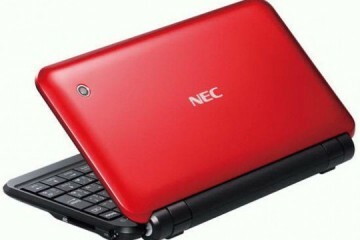 We have nothing against cheap laptops, so long as they offer users a good value too, but according to reviews of the kmart netbook from this summer it is one you should avoid, as well as the 7″ Sylvania Netbook also sold by Kmart and featured as a bad Black Friday Sylvania netbook being sold at CVS. Numerous reviews of this netbook hammer the device for being an underperformer — even in the super cheap netbook category. 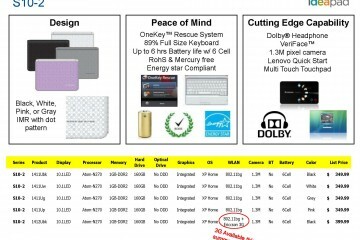 Joanna Stern of Engadget described the system as, “…slow. No, like really slow.” You can see Engadget’s preview of the $90 kMart Black Friday netbook in this video below. 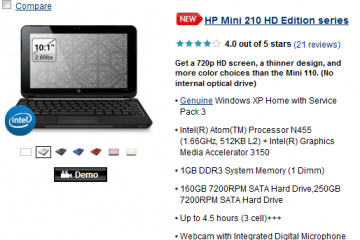 Even for the lowest demand users out there, this isn’t the netbook you should be looking at buying on Black Friday. You can find a real netbook for not much more, like the $149 Compaq CQ10-405DX from Best Buy that runs Windows 7, has an Atom processor and a 10.1″ screen. We also recommend that you check out 10 Things to Look for When Buying a Black Friday Laptop or Netbook, which will help you figure out if a notebook is a good deal or not. 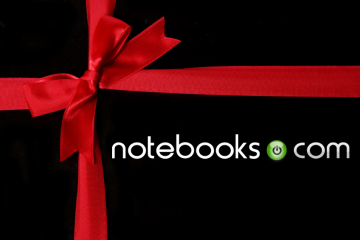 If you aren’t in the market for a notebook this year you, we’ve rounded up 10 Things to Buy on Black Friday Besides a Laptop to show you some of the other items available. I work at Kmart and I do all my shopping at Walmart! This says it all!! I buy a lot of stuff at K-mart, and am usually very pleased, but, I was unfortunate enough to purchase one of these $89 netbooks for my 9 year-old daughter for x-mas. My husband and I decided to check it out and make sure that it would work because the deal was just to good to be true. Guess what? It was. We couldn’t get it to connect to our wi-fi and when we finally did it wouldn’t open a browser page. It’ll say that it’s connected, but won’t do anything at all. Then when we contacted the customer service # they weren’t any help at all. They took my e-mail address and “created a ticket # for me” then I received an e-mail telling me that they were working on the problem and that I could check the link that they attached to the e-mail to get updates on the progress, and it said to please do not call back, only check the e-mail. Several times I have tried the link that they left and it doesn’t connect to anything and we have tried the customer service # over and over and can not reach a single person. I am extremely disappointed with the entire ordeal. I’m glad that we checked it out and now we are taking it back and are on the hunt for something different for our daughter. I’m so glad that we checked it out. She would’ve been very disappointed to get a present that wouldn’t work. I will definitely do more research before I run out and spend my time and money again! 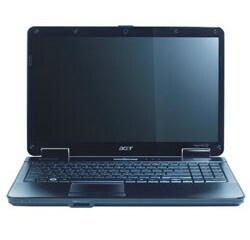 The only thing your going to get for less than $150 is junk, A better Netbook is going to run $200. Personally I would stay away from Android and Windows on Netbooks and look at Linux. I bought one, and am replying via the Genbook74, so yes it works. I looked at the specs – 400 MHz CPU, 128 MB RAM, so you know right off that it is very limited. But if you want a light weight machine to access email and do lite web browsing while traveling, this is perfect. Cheap, works, weighs just under 1.5 lbs. Want to do word processing, spreadsheet database look else where. I too had to use Augen help – found thme very helpful and responsive. Guess it all depends upon who answers. Not every website works well with Safari browser and Android. It is still a very Window cetnric world, so some sites say they are loading but can’t.